Kristina Groves is really into mountain biking. That doesn’t mean she’s about to tackle the event at the 2012 Olympic Games. 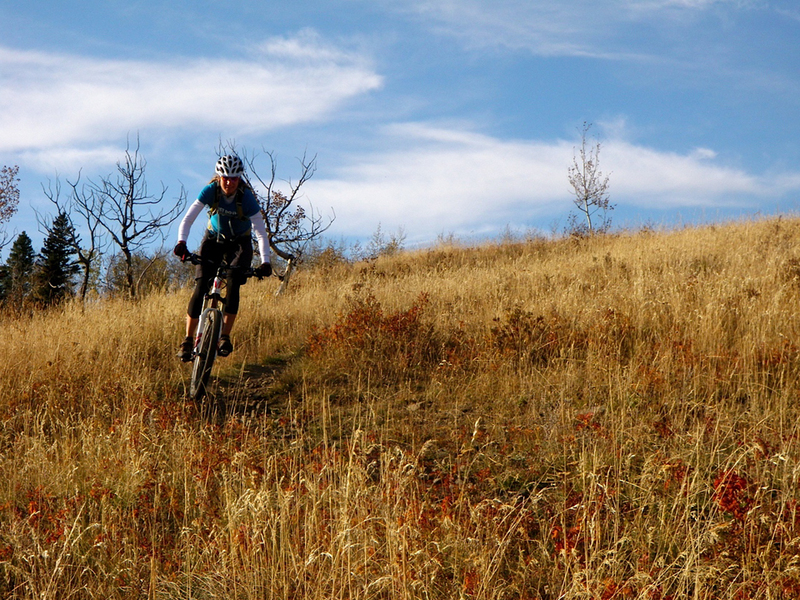 It simply means she loves the sport and intends to get out on the trails around her Calgary, Alberta home as often as possible. The idea that Kristina might be biking “just for fun” seems alien to those who know her. After all, she’s the girl whose unwavering drive and dedication allowed her to overcome a “lack of talent” for speed skating and become one of the greatest names in the sport, with 35 World Cup medals (18 of them gold) and four Olympic medals under her belt. In her 23-year career, she’s been on the podium an astounding number of times. Her most memorable competition was the 2008 World Single Distance Championships in Nagano, Japan, where she became World Champion in the 3,000m and the only female skater to ever medal in five separate events (1,000m, 1,500m, 3,000m, 5,000m and Team Pursuit) at that competition. That solid-gold work ethic is something Kristina had in spades, even as a young girl. She also had something else: the ability to dream. In autumn 1987, the Groves family stopped at a Petro Canada gas station in Ottawa, Ontario on their way home from the cottage. Kristina was only 11, but she was about to make a discovery that would set the course of her life for the next 23 years. From the back of the car, she caught a glimpse of a poster advertising the Olympic torch relay for the upcoming 1988 Winter Games. As Kristina tells it, her success was a slow, steady burn. She set goals, put her nose to the grindstone and kept working until those goals were met. Then, she’d set a higher goal. She didn’t win a race until 1991—at the North American age class championships in Lake Placid, New York—but that never deterred her from staying the course. 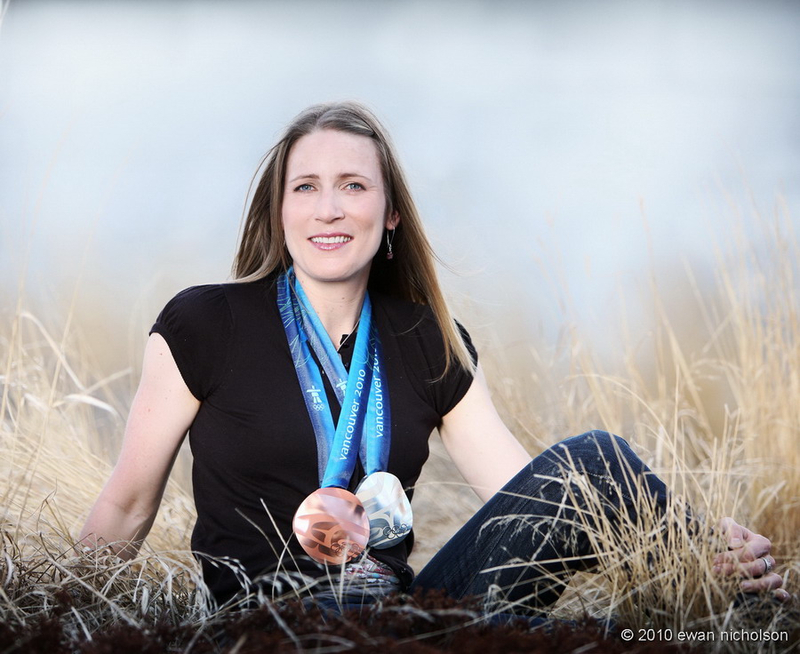 After graduating from Ottawa’s Brookfield High School in 1995, she made the move to Calgary to train at the Olympic Oval. She enrolled in the University of Calgary’s Kinesiology program, which she fit in when she could, eventually graduating in 2004, and set about carrying out her dream of making it to the Olympics. When she finished fourth overall at the 2003 World All-Round Championships—making a huge leap from her 11th place finish the year before—she set her sights on coming in third in 2004. It was a logical goal to set; to date, her efforts had resulted in a gradual but consistent climb in the rankings. Then the 2004 World All-Round Championships rolled around and she finished a disappointing 17th overall. She and her coach Xiuli Wang worked hard on tuning out distractions, like rankings and competing times, and focused only on what mattered: how she skated. Xiuli helped identify what factors were at play during Kristina’s best performances and taught her young athlete how to recreate those circumstances at every race. By the time the 2004 World Cup season got started, Kristina was in a completely new headspace. Rather than focusing on the results, she thought only about what she needed to do during her races. That new approach led to her first World Cup medal—a gold in the 3,000m—and marked the difference between waiting to feel good about a race until after the final results, and “being able to cross the finish line and know instantly whether or not it was a good race (for me), regardless of how other people did,” she says. It was a pivotal moment for the athlete, not only because it proved to everyone that she was capable of winning at an international level, but also that her reward now came from something she could control, something within her—the knowledge that she had done her very best in any given race. “(In winning that medal), I realized that I could win and that I didn’t actually give a crap about winning,” she says. 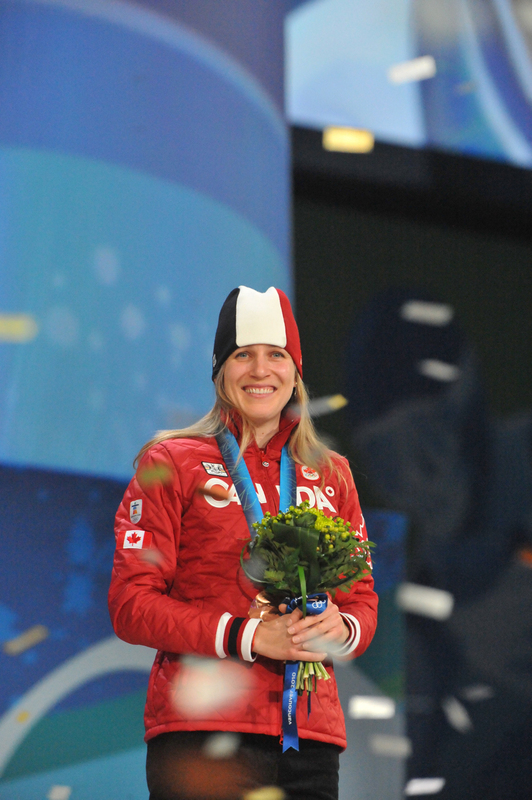 Kristina’s World Cup medal in 2004 became the first of an eventual 35 she would go on to win. Her accomplishments on the podium are huge, and she’s deservedly proud of them. But what she’s most proud of is her work with a host of non-profit organizations that are committed to making the world a better place. 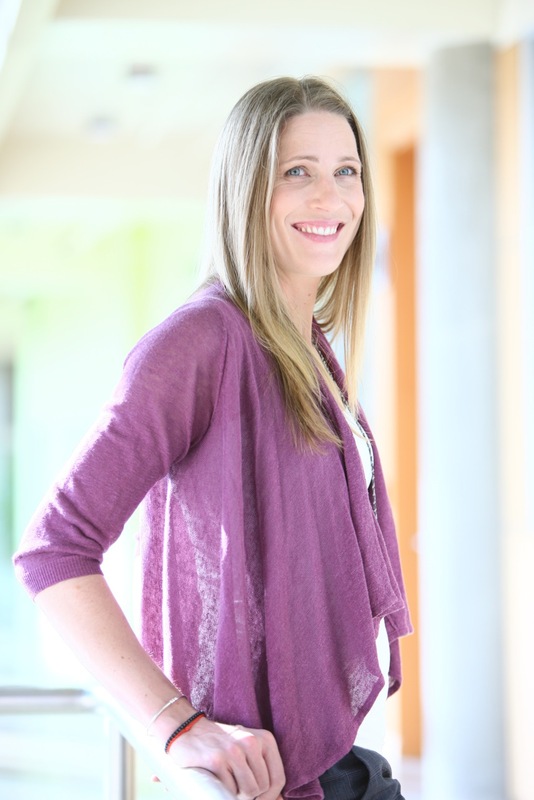 She’s actively involved with many athletics and environmental organizations, including Right to Play, KidSport, Clean Air Champions and Green Calgary. Right to Play in particular holds a special place in Kristina’s heart. For years, she sported the organization’s logo on her uniform free of charge, and even turned down a generous sponsorship for the 2010 Olympic Games in Vancouver because she wasn’t willing to offer up Right to Play’s logo spot. She will also—always—make time for sport. It’s been nearly a year since she last skated; she was concussed after a fall in the Team Pursuit race at a World Cup in Berlin last November (an incident, she makes clear, that had nothing to do with her retirement), and spent nearly eight months recuperating and getting back to her preferred level of activity—frequent and intense. These days, she’s able to enjoy vigorous exercise with family, friends and former teammates, and has no intention of ever giving that up. She’s even planning to return to skating “for fun” at the Oval when the time comes. She’s still dedicated to being the best she can be. It’s just that now her focus isn’t on something as all consuming as being a professional, Olympic-level athlete. “Until this point, my life has been about some future, distant goal,” she says. “It was always about the Olympics and speed skating, and now that that’s gone, I feel like I’m enjoying what I do on a daily basis a bit more. Right now my journey is simply seeing what comes my way, pursing things that I’m interested in and doing them really, really well. It’s like little bits of excellence as opposed to trying to make my entire existence about being excellent at one thing. For now, I’m going to do a really good job at (my upcoming speaking engagements), and that’s that. To (try to) keep up with Kristina, visit kristinagroves.ca and follow @kngrover on Twitter. A proven gold medal athlete regardless of official results… One of Canada’s best ever in speed skating and mountain biking.